NOTE ADDED 4/8/2019: UNTIL MY TRUST LEVEL INCREASES I AM REMOVING ALL LINKS FROM THE OP SO I CAN KEEP THE LIST(S) UPDATED AND CURRENT. Hey all - I wanted to put together a mega-thread that will put the majority of the CONFIRMED information into a single place to both help people new to the board, as well as dispel any fake rumors or information. I will be attempting to put in links for citation, but it will require both digging them up and validating the information, as well as figuring out how to bypass the no linking” rule. If you have suggestions on content please reply to me in the thread and give me a way to validate the info and I’m happy to add. Some of this (the ‘what’s changed’ section) has been lifted from a Reddit link I found. Q: What is WoW Classic? 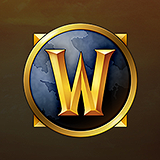 A: WoW Classic (Or ‘Classic’) is a (supposedly) faithful recreation of the game we all knew and loved as it existed before expansions and major Quality of Life (QOL) changes began shaping both the look and feel of the game. Q: When will it launch? A: It is likely, but unknown at this point. Q: What version of the game will be used? A: The game will be based on patch 1.12, which launched on August 22, 2006 – shortly before The Burning Crusade. Q: Is there going to be a cost? A: Classic will (as of Nov ’18) be bundled into the normal subscription for retail. Q: ARE THEY SHARDING?! I WONT PLAY IF THEYRE SHARDING!! A: It has been floated by the dev team as one way to help combat the expected overcrowding at launch of lowest level starting zones. BUT IT IS NOT YET GUARANTEED TO BE IN THE GAME. Naturally the forums have been a source of calm, rational discussion on the matter. Q: How many servers will there be? What will the population cap be on the servers? A: Nobody knows. But we DO know what kinds of servers there will be as mentioned: PvE, PVP, RP. Q: Will there be raiding? Q: What about PVP? I love to PVP! Q: What Version of Alterac Valley will we get? Q: What about addons? Will there be addons? I can’t play without addons! A: Blizzard has stated that they will be breaking addons that automate gameplay, such as Decursive, EZHealing etc. “Normal” addons will still be allowed. A: No, the game will be “exactly” as it was in 2006. Q: I heard this is going to have loot trading, this is going to RUIN THE GAME!1!1! Q: What API version are they going to be using? A: This is still unknown, some players are reporting that a “leaked screenshot” shows a “Classic Settings” button in the graphics section, however I played the demo and I didn’t see it. There was a slider that allowed you - much like modern Blizz games - to set the settings anywhere from low to ULTRA. The models I could see were as they were in 2004. Q: What about spell batching? Q: Are the items you obtain in Classic going to transfer over to your modern/BfA account? A: No. It’s really important to the developers that the two ecosystems are kept separate. · The client will not run on 32bit systems. · Accessibility options such as colorblind will be present, though modified to fit Classic. · Widescreen monitors are now fully supported. · Right-clicking on a player to report them has been enabled. · The modern engine no longer permits certain behaviours that could be used to get out of bounds. · Battlenet chat will be integrated into Classic. Is it possible to have pre-1.11 warrior threat? Will there be Cross Realm BGs? Sharding - what would be a timeframe, what are “starting areas” and how committed are you to not sharing past those starting areas? What alternatives to sharing are being considered? Hunter pet speed - normalized or dynamic? What version of the API is being used? Cross faction communication on PVP? Server caps? Names before release? Old honor system or the later honor system? Once sharding is allowed in Classic..
Is Classic going to have patches and new content? Query: Why not include BGs with release? Classic WoW Beta? Footage of Gameplay? Will we 'buy' Classic or just pay a sub cost? How is Classic looking? BFA any better? Are we getting arenas on the Classic servers? How do you feel about classic+ servers in addition to the classic ones? Naturally the forums have been a source of calm, rational discussion on the matter. For this alone, petition for sticky! Dear lord, please sticky this! Would you be able to add a TBD part? What Graphics will Classic be Using? Blizzard states they want to keep Classic as Classic as possible. They will be updating the world graphics but will be offering a Classic Option in the settings to give you the full Vanilla feel. How do we request sticky now? I added a piece on the graphics, good idea. and a buffed raid experience. What they actually said was “foundation” and went on to request we discuss what vanilla versions of vanilla elements we preferred. And no, “based on” is not exactly the same. They used a certain word, so you should probably use the word they used. But that’s complete conjecture, I’m trying to avoid things that are, essentially, guessing. If you have reason to believe it I’m all ears, but until then, this will remain confirmed information. Launch date is about the only thing that is certain and that is still debatable. That would be TBC. I really have my doubts that will happen. Why give us classic with TBC talents? 1.6 av is possible tho. Can you post links to the Dev Watercooler discussions and/or video links of Q&As from Blizzcon? Planning on it, technically the system won’t let you link to other sites, so I just have to dig them up and try to bypass the filter. Words matter. If you have the specific words used, then those words should be used. How is this even being argued against? Why use similar words when the ACTUAL word is available? In a thread about “definitive” information, you certainly seem hesitant to using the actual words blizzard used.